Home > Bank > [Citibank ATM] Last chance to shop Spring Summer 2017 styles from your favourite designers at Pedder on Scotts and On Pedder. 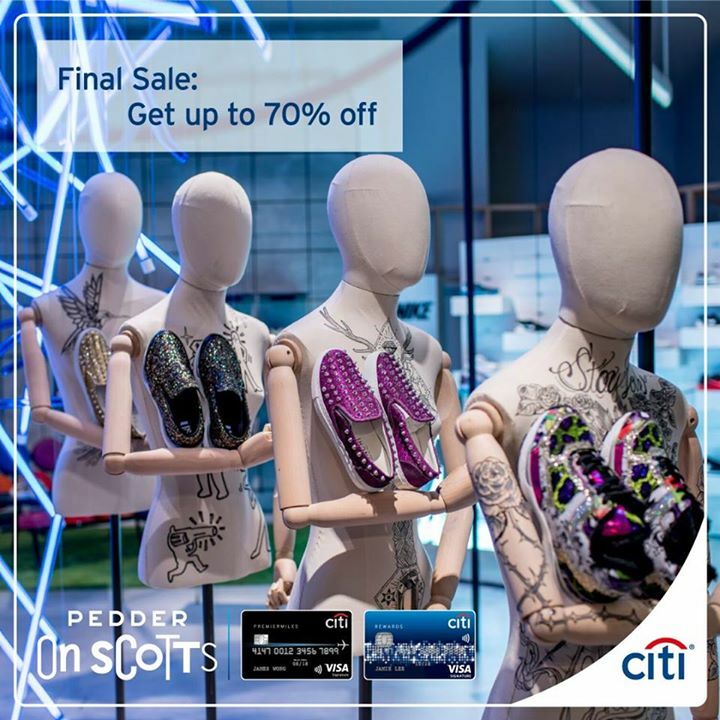 [Citibank ATM] Last chance to shop Spring Summer 2017 styles from your favourite designers at Pedder on Scotts and On Pedder. Last chance to shop Spring Summer 2017 styles from your favourite designers at Pedder on Scotts and On Pedder. Get up to 70% off on sale items and become a VIP member with any purchase. Valid from now till 31 July 2017. Previous: [Hard Rock Café] Join us as we hangout and meet Geoffrey and Friends this Saturday and Sunday at Toys “R” Us VivoCity! Next: [Four Seasons Durians] Calling All Durian Lovers,Enjoy perks with our new digital membership!